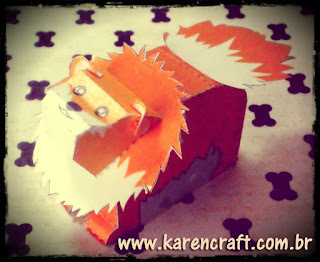 This dog paper toy is the Pomeranian, this papercraft is designed by karen. The Pomeranian (often known as a Pom or Pom Pom) is a breed of dog of the Spitz type, named for the Pomerania region in Central Europe. Classed as a toy dog breed because of its small size, the Pomeranian is descended from the larger Spitz type dogs, specifically the German Spitz. It has been determined by the Fédération Cynologique Internationale to be part of the German Spitz breed, and in many countries, they are known as the Zwergspitz (Dwarf Spitz).